Detention warrant issued for 33 lawyers who are the members of Izmir Bar Association on Friday (22 September); 24 lawyers were taken into custody and police operation goes on for the remaining 9 lawyers. With this last wave of crackdown against lawyers, number of lawyers under criminal prosecution raised to 1380; 538 of them have been arrested. Operation came a day after 14 lawyers got arrested in Istanbul. Since 15th July 2016, 94 lawyers were taken into custody and 36 lawyers have been arrested in the province of Izmir. 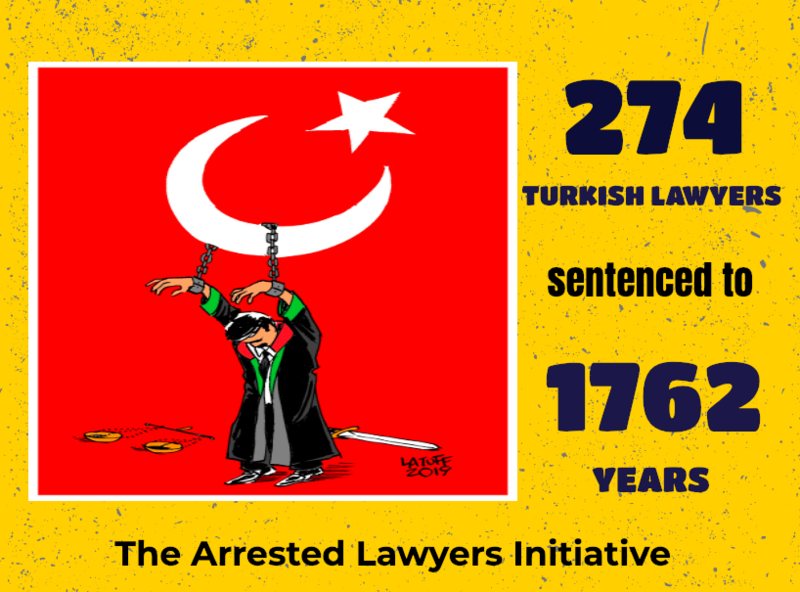 As of 22 September 2017, 538 lawyers have been arrested (since 15th July 2016) and 1380 lawyers are under prosecution. Some of the arrested lawyers were subjected torture and ill-treatment. So far; Erzincan 2nd High Penal Court sentenced lawyers Cemalettin Ozer and Talip Nayir who are (respectively) former president of Erzincan Bar Association and former board member of association 8 years 9 month and 10 years and Eskisehir 2nd High Penal Court sentenced 11 lawyers to range 4 to 12 years imprisonment.